In her first swashbuckling adventure, Tabitha Fink and her first mate Bartholomew Blink take a high-seas journey in search of buried treasure, but end up discovering something even more valuable along the way. A book for children with the important lesson of inclusion, Tabitha Fink And the Patchwork Pirates is a fun adventure made possible only when a diverse team of people comes together as one. Tabitha Fink is a cat. She happens to have only one eye, but that’s just one of the things that makes her special. Otherwise she’s just like every other cat. She likes to run, to play, to hide, to climb up things and gobble up her food. The 5-Star, Award-winning first book Tabitha Fink: The Cat with One Eye is written for children age 2 to 5 and tells Tabitha’s story in a simple playful rhyme wrapped around delightful illustrations that kids will love. 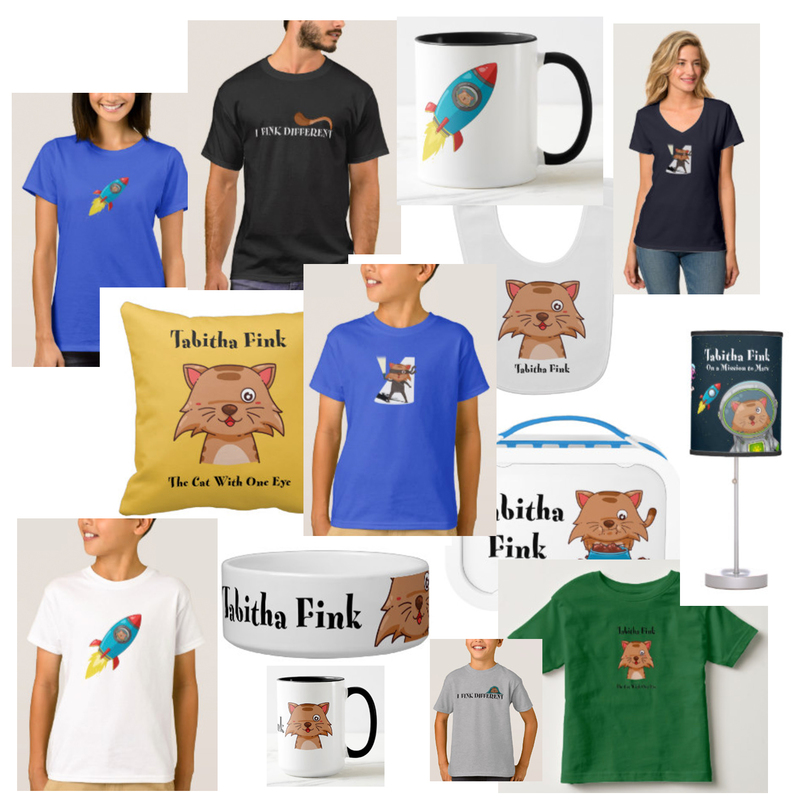 And now, the next three Tabitha Fink adventures, the Award-Winning Tabitha Fink On A Mission To Mars and Tabitha Fink Ninja at Night as well as the all new Tabitha Fink and the Patchwork Pirates are available. This series has won 11 book awards and contains the important message that everyone is special, no matter how different they may seem. Here is a short video to give you some idea of what you can expect inside the first Tabitha Fink book.